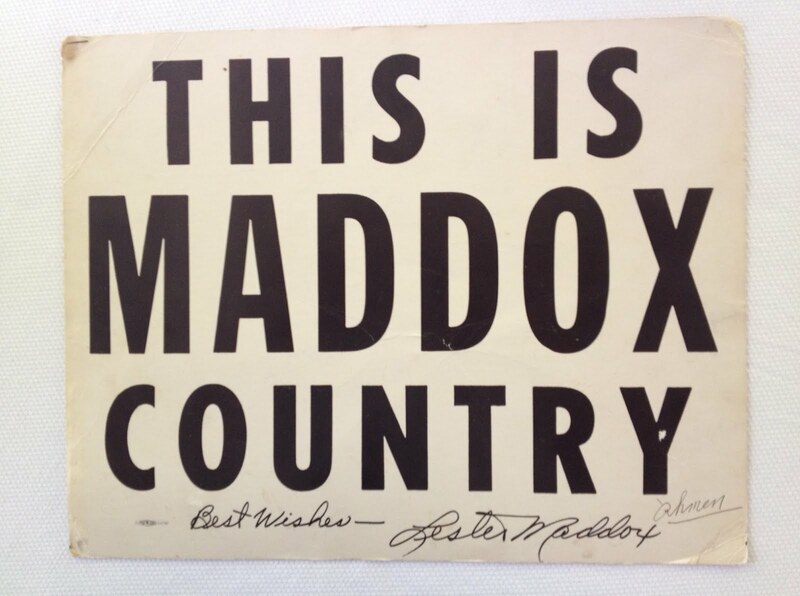 Submitted by Dan: 1966 autographed "Maddox Country" campaign sign for former Georgia Governor Lester Maddox. Ga's most recognized political icon and the archetype of Ga's racist businessman, according to the media. He edged out 3rd place finisher, rival Jimmy Carter, in the Democratic Primary before the democratically controller Ga Legislataure gave him the nod over the Repubican nominee for Governor in 1966. He was called the bicycle riding backwoods backward yahoo who tacked up these exact signs in his gubernatorial bid. He always claimed that states rights not racism motivated his refusal to serve blacks @ his infamous Pickrick Restaurant in Atlanta where the axe handles that made him famous were given out. If you can help Dan please click on the comments button. Submitted by Dan: I have a Timex watch that's never been out of the box with a U.S. map and Arkansas colored in that has an imprinted Bill Clinton signature. It was party favor by the Arkansas Industrial Commision to lure CEO's to put plants in Arkansas. I rec'd it when he was running for president in early 90's. If you can help Dan, please click on the comment button. Thanks! Submitted by Melody: I have a Benjimin Harrison coin, but cannot find the value of it, every coin I look at is different from what I have. Mine has on the front 1889 date and 1893 and on back has President and under that 23 under that the word coin. 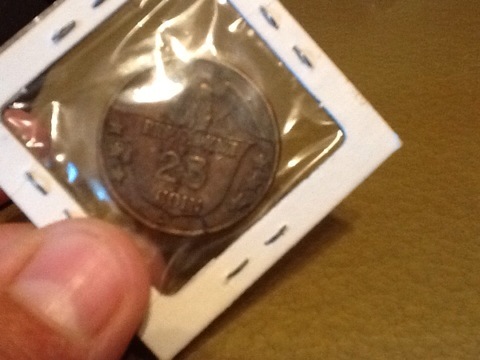 Do you know the value of this coin? If you can help Melody, click on the comment button.